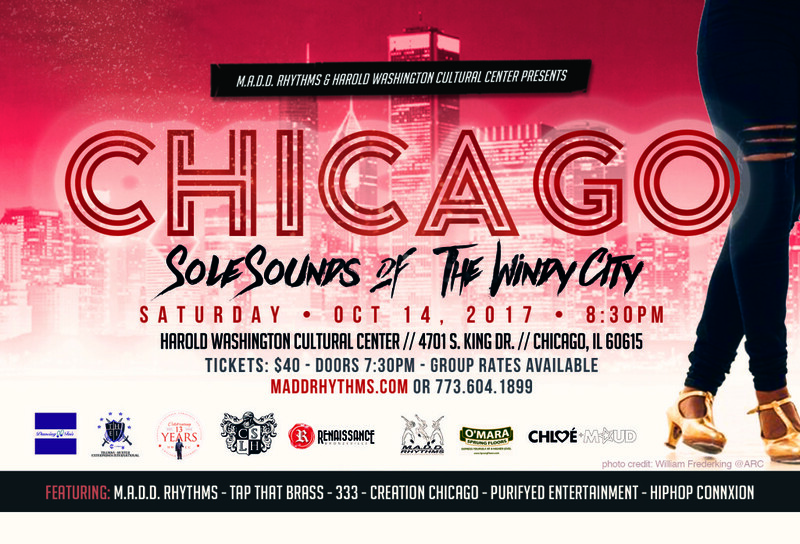 CHICAGO: Sole Sounds Of The Windy City – TICKETS ON SALE NOW!!!! This years faculty include: Martin “Tre” Dumas III, Nico Rubio and Lee Howard. M.A.D.D. 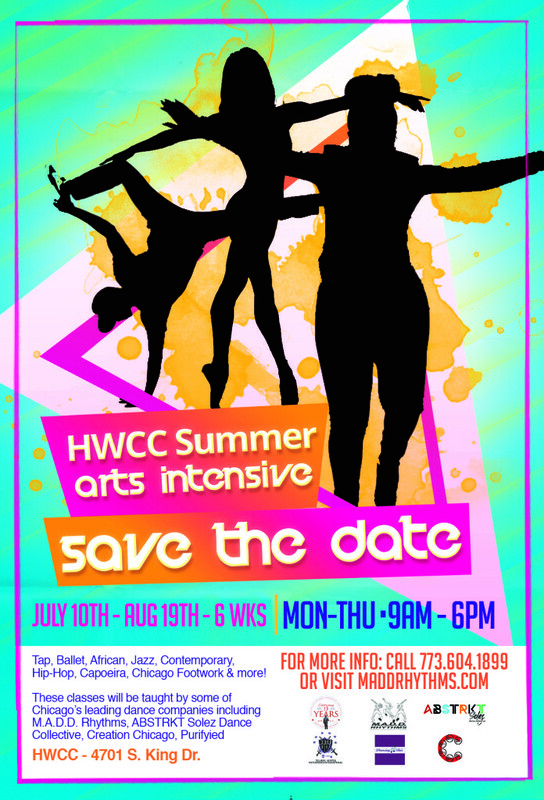 Rhythms’ own: Bril Barrett, Jumaane Taylor, Starinah Dixon, Donnetta Jackson, Tristan Bruns, Megan Davis, Nora Clark, Ja’Bowen Dixon & Victoria Jones. 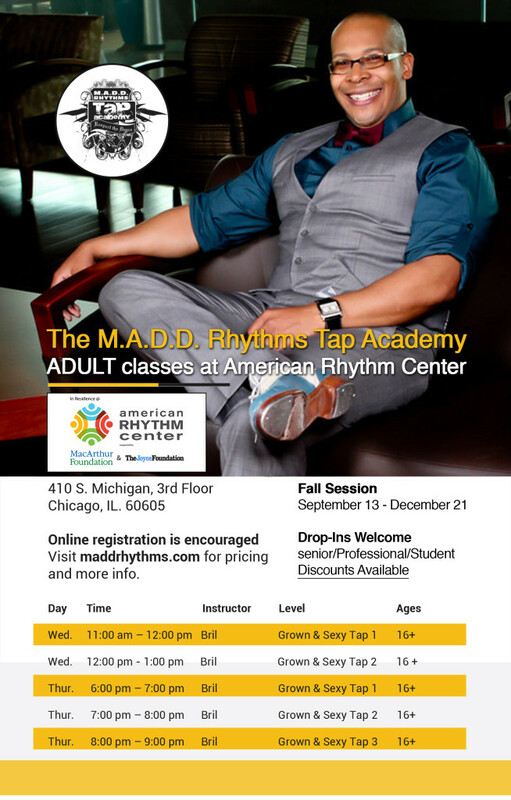 Fall 2017 Tap Classes Start This Week. Register Now. 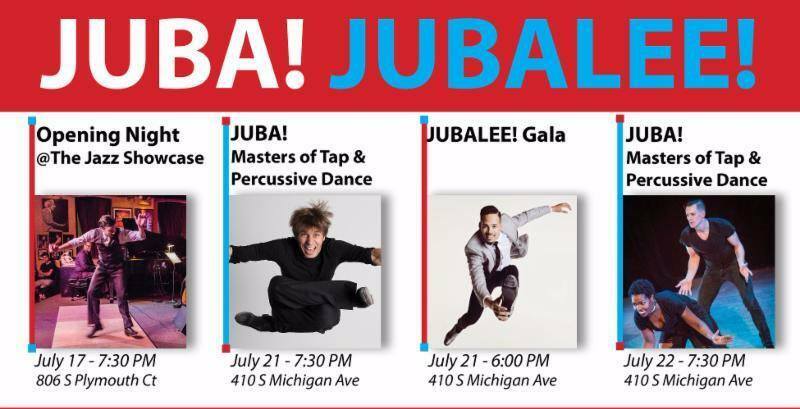 We want to share a very special offer with you to see and hear JUBA! 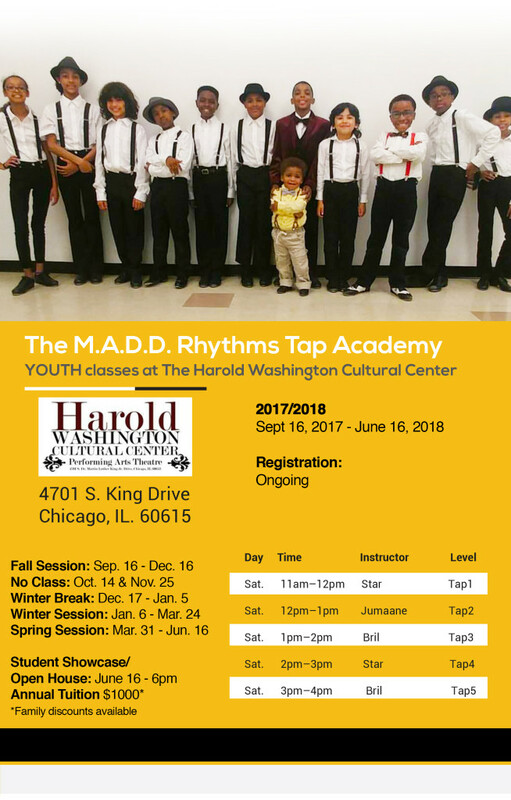 Masters of Tap and Percussive Dance, Friday, July 21 and Saturday, July 22 at the New Studebaker Theater in the Fine Arts Building at 410 S. Michigan Ave! We are offering you 25% off JUBA! tickets with the promo code ARC25. Don’t miss out! 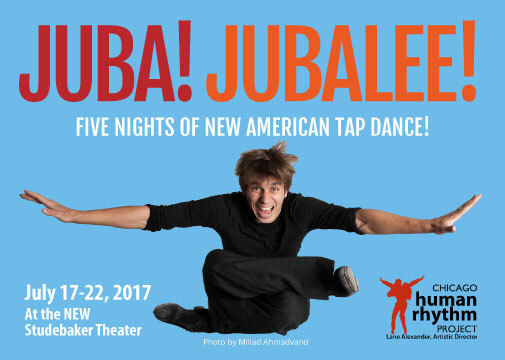 Extraordinary foot drummers and percussive arts masters from around the globe share the Studebaker Theater stage for JUBA! 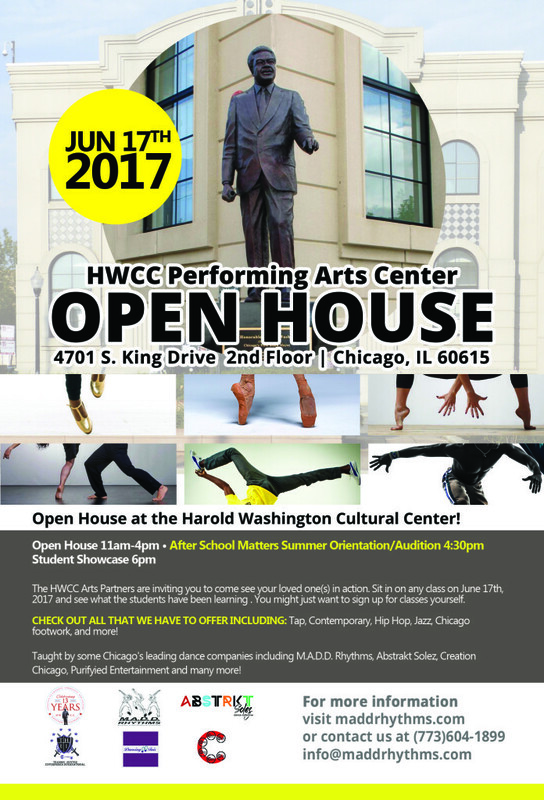 This concert features performances by some of the country’s leading masters of tap and percussive dance, including a world premiere by CHRP’s new Artist in Residence, Dani Borak; solo performances by former Tap Scholars Jumaane Taylor and former CHRP ensemble member Tristan Bruns; STOMP alumna and Broadway hoofer (Shuffle Along) Lisa LaTouche; and many more. JUBA! performances are on Friday, July 21 and Saturday, July 22 and both shows are completely distinct. 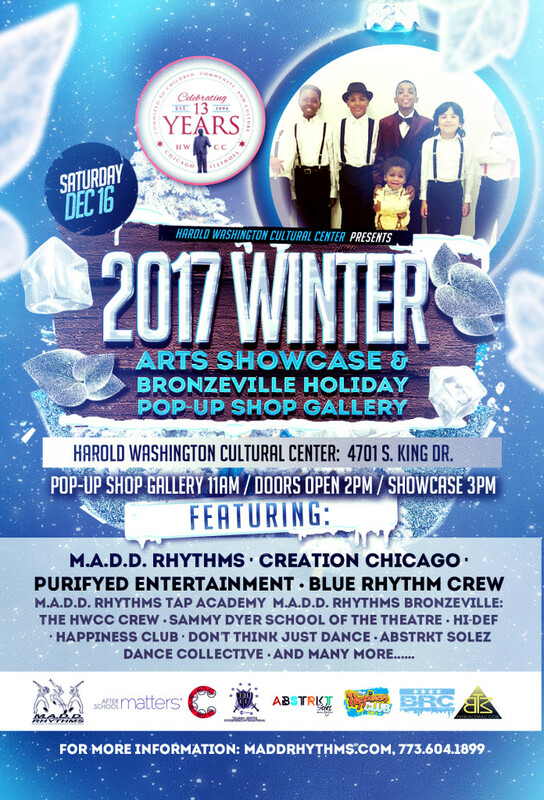 For more information about the line-up for Friday’s performance, or to purchase tickets, click here. More information about Saturday’s line-up will be available on this page soon. The JUBA! concerts are the culminating events of Chicago’s prized citywide festival, Rhythm World. 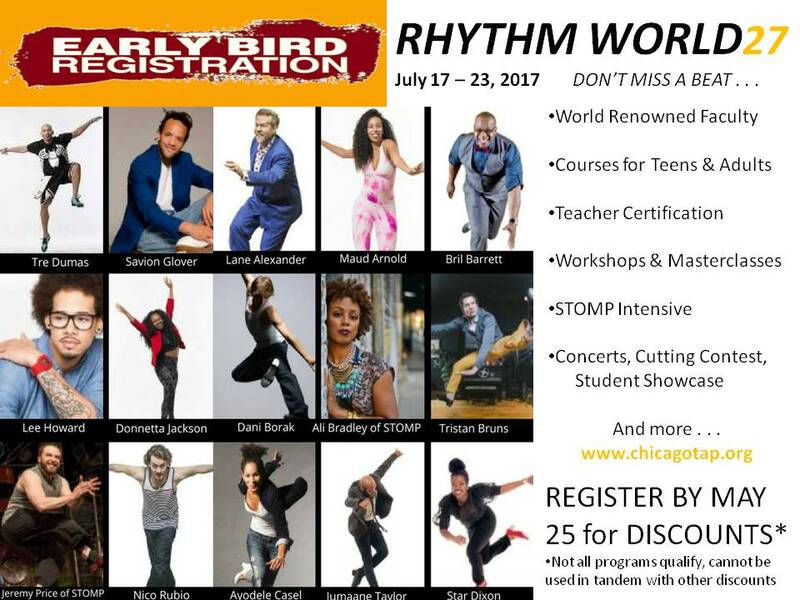 Rhythm World runs July 17–23 and includes scores of courses, master classes, and workshops, the 17th Annual Youth Tap Ensemble Conference, a brand new STOMP intensive focusing on body drumming and found-object percussion and teacher certification. 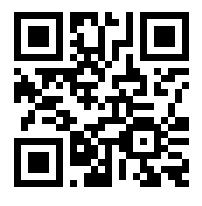 For more information about the festival, click here. Announcing the 2017 Lab Artists! Chicago Dancemakers Forum is thrilled to announce the six dancemakers who have been selected to be receive the 2017 Lab Artist Awards: Brittany Harlin, Daniel “Bravemonk” Haywood, Joshua L. Ishmon, Jumaane Taylor, Rika Lin and Victoria Bradford. For the first time since its inception Chicago Dancemakers has increased the number of Lab Artist awards from four to six. Each artist will receive a $15,000 cash grant combined with a year of mentorship to support the research, development and presentation of a newly choreographed work. Awardees will be honored during the 2017 Lab Artist Awards Celebration and Benefit on July 13 at The Arts Club of Chicago. 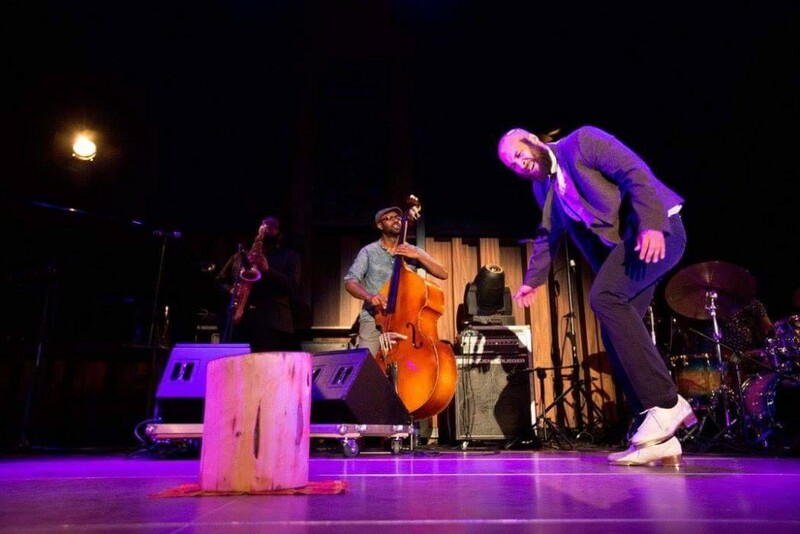 For the first time ever, astonishing tap artists from our backyard and beyond come together in a program curated and introduced by the “tireless ambassador of tap” Michelle Dorrance (The New York Times). 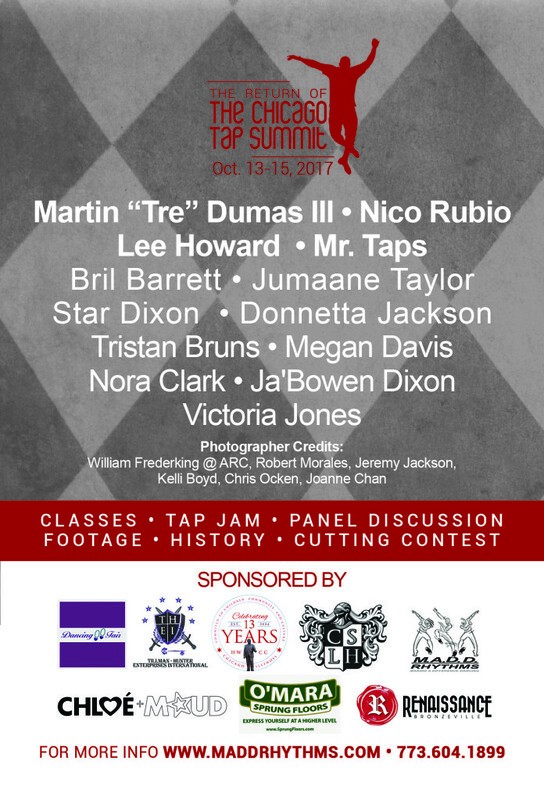 TIRELESS exhibits the endless talent, depth, and perseverance of the international tap community. A Jacob’s Pillow Dance Award recipient and MacArthur ‘Genius’ Fellow, Dorrance introduces this Pillow-exclusive engagement featuring tap dancer and bassist couple Reona and Takashi Seo of Japan in AUN; Chicago-based choreographer and performer Jumaane Taylor and his ensemble work Supreme Love; Joe Orrach of San Francisco in his solo performance entitled In My Corner; and tap dancing siblings Joseph and Josette Wiggan of Los Angeles. MAY 25 – National Tap Dance Day! MAY 25 – EARLY BIRD REGISTRATION DEADLINE! 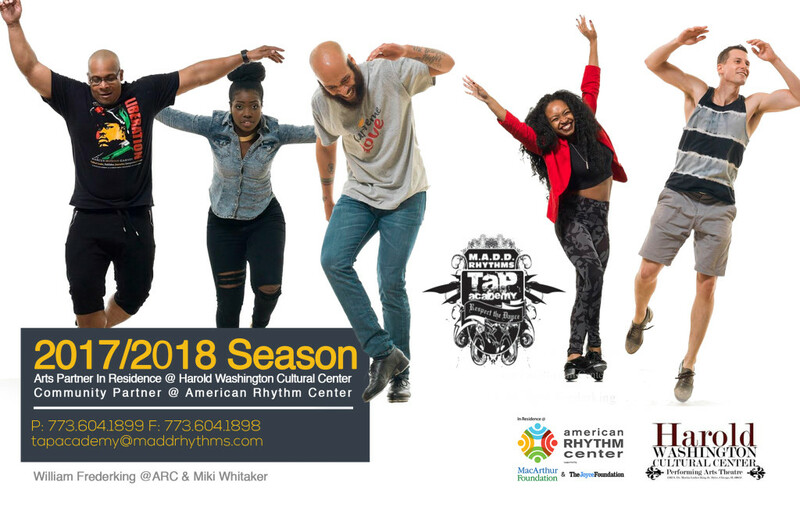 One of the ways we celebrate is to offer discounts to our summer festival – RHYTHM WORLD – through May 25 – after all – how can you forget the date? 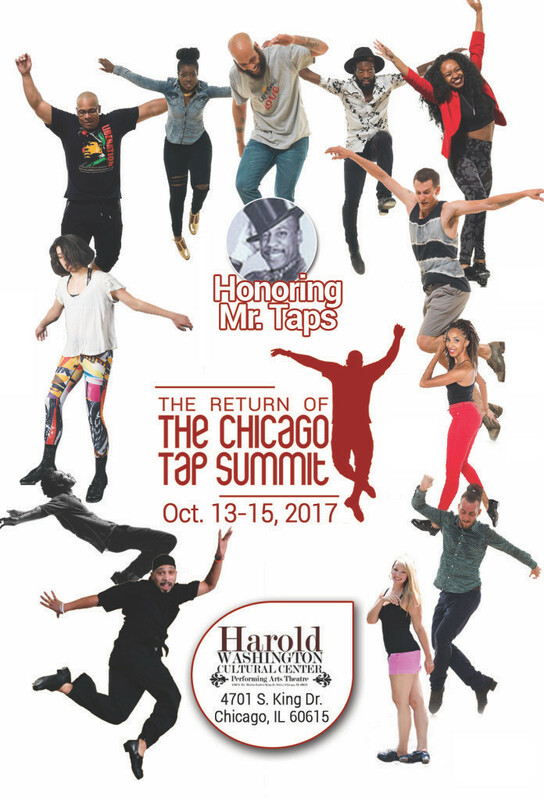 It’s Bill Robinson’s birthday – so give yourself a present – SUMMER TAP FESTIVAL!